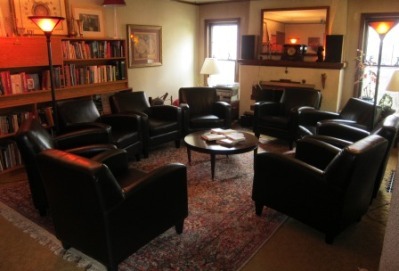 Workshop Space at the Story House. 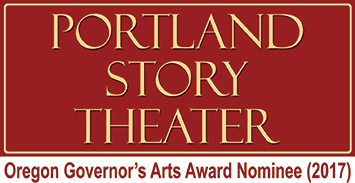 Portland Story Theater’s Art of Personal Narrative workshop gives participants an opportunity to discover and craft a personal story and deliver it in its true form: naked, fresh, revealing. Every participant will perform a 10-12-minute story before a live audience at an Urban Tellers show. This is a modern take on an ancient tradition: personal narrative, spoken straight from the heart. Only six (6) adults (18+) are eligible to participate in each workshop. The 2:1 teacher-student ratio allows for a great deal of individual attention and is a reflection of our commitment to your success. PREREQUISITES Everyone over 18 is welcome to participate. Check below to make sure that you meet all of the prerequisites for this workshop. PAYMENT POLICY Full payment of $250 is expected when registering. Please note that Portland Story Theater does not give refunds (full or partial) for voluntary withdrawal from the class. Each workshop has seven (7) sessions: four group collaborative sessions, an individual coaching session, the showcase performance and a final debrief session. In every workshop we share insights about finding the stories we need to tell and why we need to tell them, how to use our voices and our bodies, how written stories are different from spoken stories, and how to structure the narrative arc of a story for spoken word delivery. During the collaborative sessions, themes emerge. This is a unique form of devised theater and people work hard to approach the work with courage, dignity, and humor. We guide each participant through the process of intentional storytelling that we’ve perfected over the years. You will learn to trust your story and to speak extemporaneously — no scripts, no notes, no net. Each person participates in an individual session which is scheduled separately. The Urban Tellers® show is at The Old Church (1422 SW 11th). The final gathering is held at Portland Story Theater’s Home Studio in NE Portland for celebration and feedback. We are offering two Immigrant | Refugee Edition opportunities this coming season. To qualify, you must be a first-generation immigrant or refugee and meet all of the prerequisites. Read these over and be prepared to talk about them when you call 503-284-2226 to find out how to register for the workshop. You must be able to commit to attending all the dates in a workshop series. There are 7 sessions and all sessions, except the performance, are held in NE Portland: 7:00 PM – 10:30 PM. You have attended at least one Urban Tellers® show prior to registering for The Art of Personal Narrative. It’s important that you experience what it’s like from the audience perspective before you get on stage. You will use your real name and are willing to share your story digitally on the internet after the live performance. This entire experience is about being open, honest, and authentic and sharing your story with others. You must have a passion for the spoken word and a strong desire to tell your personal story. You must have a willingness to discover, craft, and share stories that have meaning for you and resonate with the audience. You are ready to accept coaching, our process, and direction from the instructors. You understand that this is a storytelling class, not a writing class and agree to not use notes on stage. You love deep, heartfelt humor but you are committed to telling a story, not doing a comedy routine. You are ready to deliver a story — not an essay, an angry rant, a eulogy, or a memorial talk. You understand that this is independent work and couples, best friends, and siblings should participate in their own workshop experience. You can create a story line that the average audience member will readily grasp and follow, without obscure metaphor and symbolism. Respect for the confidentiality of information shared by others during the workshop is of utmost importance. You are enthusiastic for the performance showcase and dedicated to building audience by inviting friends, family, and colleagues. Join our mailing list to keep up with notifications about these workshops or check back to this page periodically. Thank you!